Cake + Stormtrooper = WIN! 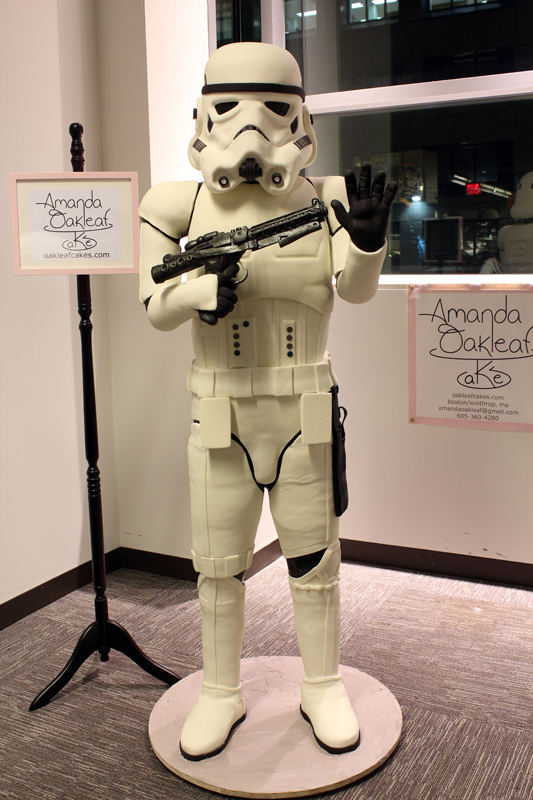 That, ladies and gents, is 6’2″, 300 lbs of Stormtrooper shaped cake, and one of the greatest things I’ve ever seen. It was made by the talented folks at Oak Leaf Cakes for the Arisia Sci-Fi convention in Boston. Check out their site for some WIP shots of this amazing cake. Now, I wonder if I can get one for my birthday cake this year…. This entry was posted on Monday, January 16th, 2012 at 9:37 AM	and tagged with Cake, Rooney, Star Wars, Stormtrooper and posted in Cool Stuff, Star Wars. You can follow any responses to this entry through the RSS 2.0 feed. « How to ruin your relationship with your gaming partner…Or not.